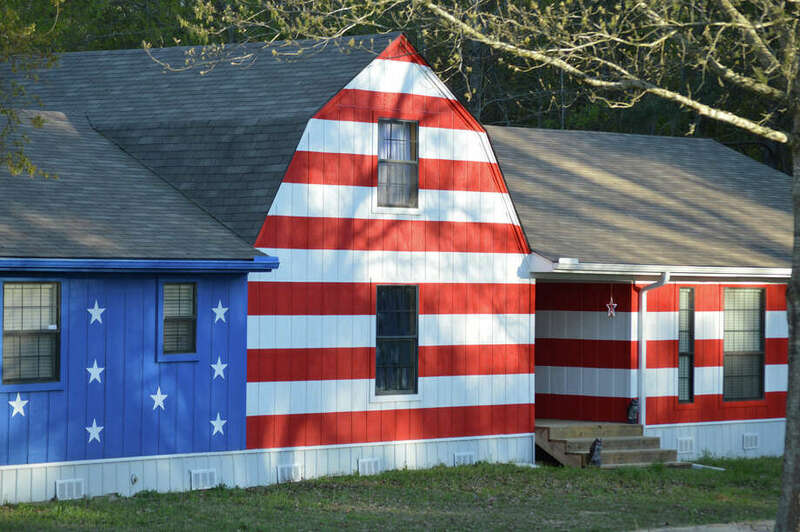 Darien artist and photographer Robert Carley photographed flag-painted homes on his recent travels around the United States. Darien artist and photographer Robert Carley, who often focuses on patriotic themes, recently returned from a road trip to Texas, Washington State, and the Northwest. Among the images he photographed were two flag-painted homes. He has donated more than 150 images related to Sept. 11, 2001 to the 9/11 Memorial Museum. The Silvermine Arts Galleries 65th Annual Art of the Northeast Exhibition, which runs through July 26, includes two of his works. He also received a second-place prize in the recent Darien Art Show. The winners of that contest will be on display at Darien Library through Wednesday, July 8.